SKATING WITH THE STARS: Premiere Episode Sneak-Peek! ABC’s “Skating with the Stars” is a sister show of “Dancing with the Stars” filmed on the same lot near each other. As the professional skaters paired with celebrities get ready for their premiere live show tonight, an audience was brought-in for rehearsals and a pre-taped opening along with a performance by pro-skater and show judge, Johnny Weir who skated to Lady Gaga’s “Poker Face”. Celebrities were asked about the challenges of practicing their routines so far. Vince Neil stated that it wasn’t a big deal – “I perform rock concerts”. Bethenny Frankel said that all the spinning was a bit too much for her. ABC will most likely receive high ratings from viewers tonight with expectations for seeing some Stars falling down on the ice. One thing is certain. Viewers will see a special performance from Christina Aguilera. 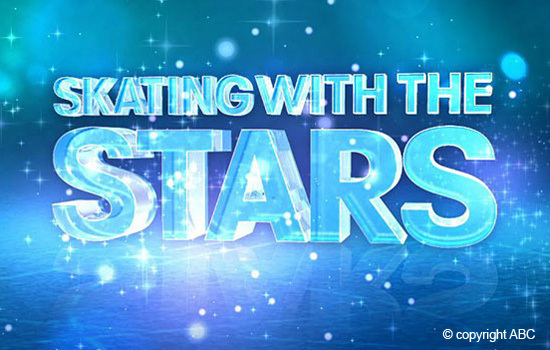 “Skating with the Stars” airs tonight on ABC at 9/8 c after “Dancing with the Stars”.